Dan McDermott has over 25 years experience as a professional artist working primarily in painting. Over 350 of his works have been placed in private and corporate art collections worldwide. He has had numerous solo exhibitions and been included in over 40 group shows. 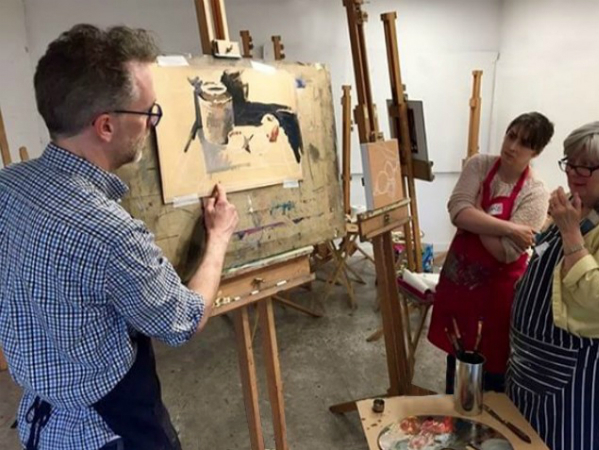 McDermott is joint course leader of the UAL Level 3 Diploma in Art and Design at South Gloucestershire and Stroud College (SGS). He also teaches art evening classes and private courses/coaching under the banner of www.dmartclasses.com, specialising in the teaching of observation and perception in drawing, painting and printmaking.